Some advice for the best holiday, You will be spoiled for choice! San Martino di Castrozza lies on the foot of the Pale di San Martino in the Dolomites, italian Alps: Dolomites have been listed in the Unesco World Heritage, one of the most unique natural site. Our mountains have always been one of the most beloved among the others because of the wide range of summer and winter activities which fit every guest: families with kids, expert skiers and climbers. Download here the Guide of the territory! Lunch at the mountain hut! Experience the life in the mountains, live it, share with simplicity: in summer for those who wish to we organise a day out at our family cabin in Dismoni, in an uncontaminated area, but easily accessible by car or with a short walk. Let the kids free to play on the grass all around, You can just chill outside, have a walk or go looking for mushrooms while You wait for the lunch to be ready: tasty appetizers, polenta, grilled meat, and good wine. The courses will all be served by our staff, in a convivial atmosphere! Don’t miss this unique experience, join us and taste our special Coffee (a secret-family recipe!) and one of our Grappe, the perfect conclusion for a traditional meal here in Trentino! Ask the Hotel reception for more information, the availability is limited! Dolomites offer one of the most dramatic and unique landscape in the world: the Pale di San Martino and the surrounding areas with perfect up to 3000 meters peaks, small lakes and trails greet the visitors and challenge them. This extensive area, from the Mulaz to the Agnèr has a circular shape and features one of the most complete stratigraphic series of the Dolomites, has a fifty square kilometers Plateau of pure sedimentary carbonate rock: dolostone. Would you like to explore valleys adn forests, trek to the top and enjoy the breathtaking panorama, experience a solo trail or accompanied by the Aquile di San Martino, our local Alpine Guides to discover alpine pastures and the track and the huts of Palaronda Trek? It’s up to You! 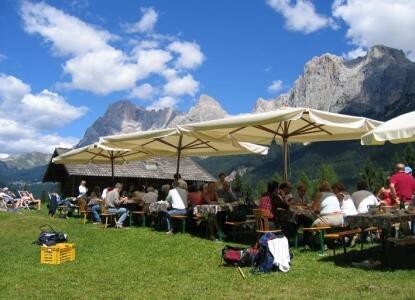 The Paneveggio – Pale di San Martino Natural Park surrounds the little town of San Martino and the Valley of Primiero. It features the most varied range of natural environments: rocky sides, meadows and alpine pastures, wild creeks and refreshing stretches of water, red firs woods and mix deciduous trees, peat bogs and glaciers. 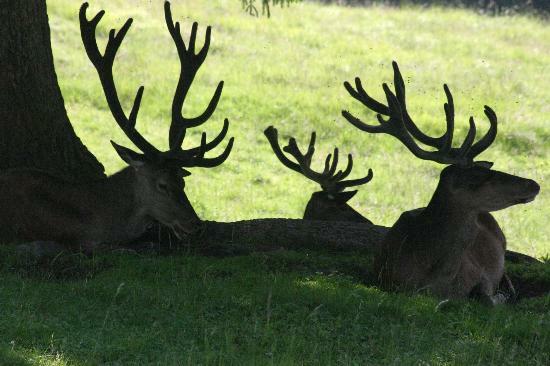 Our territory is a natural heritage to explore with guided tours of the pastures, having a walk through the Forest of the Violins in Paneveggio, with tematic and interactive itineraries in the nature, high altitude concerts … Don’t miss it! What about a different trail? 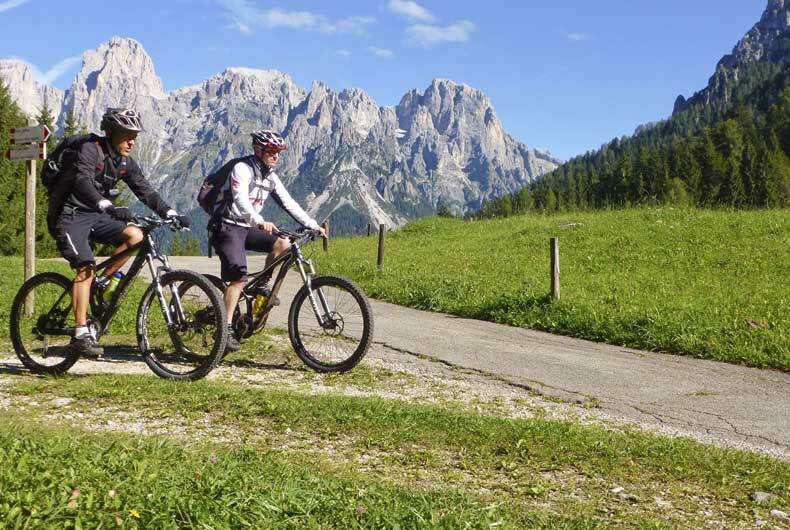 Dolomites on Mountain Bike! Choose the path for you according to your skills: you will be guided by an expert instructor, to see the Pale di San Martino like you’ve never see them before! Check out also San Martino Bike Arena, the Tognola Bike Park: a breathtaking Downhill descent! What if you don’t have a bike? Relax, we provide also bikes and all the equipments! Run thorugh the forest, walk on the air! 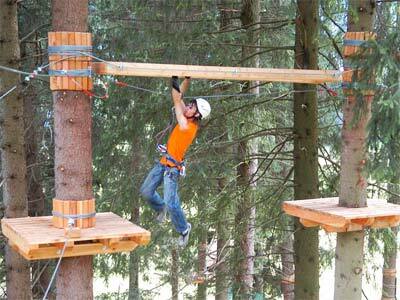 The Agility Forest Adventure Park offers a network of acrobatic routes suspendend among the trees, with different levels of trails according to the age and the skills: the perfect way to have fun also with kids and test your mental and physical abilities! 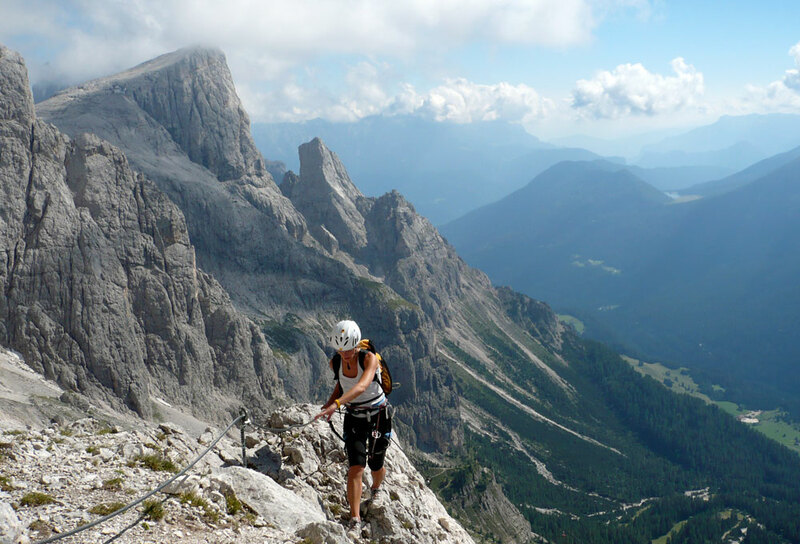 Have a try, you will not forget the amazing dolomitic view from up there! 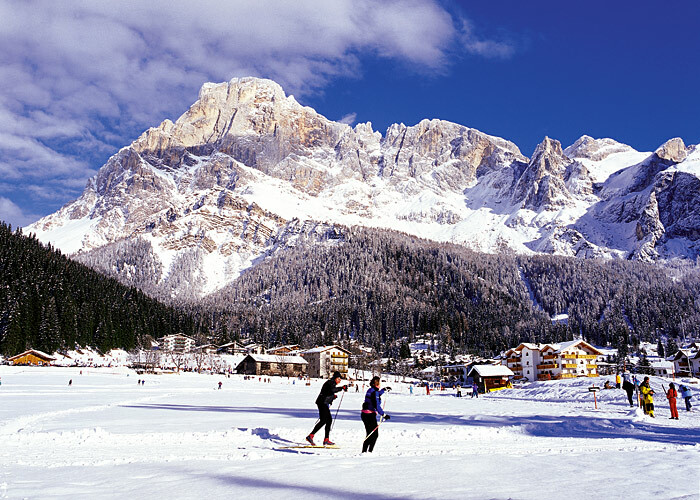 San Martino di Castrozza is the right place to be in winter! 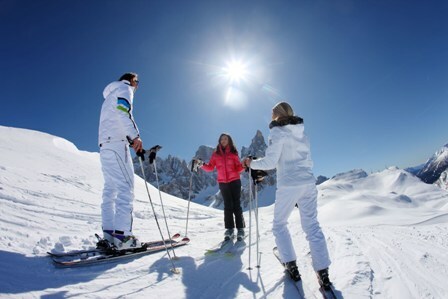 Our San Martino – Passo Rolle Ski Area offer a wide range of possibilities for every skier, from the experts who want to have fun on the slopes or down the peaks, to the kids, the beginners and the families which want to enjoy casual skiing! You can take a rest at one of the several the hut on the slopes, have a good lunch in one of the most breathtaking setting of Dolomites! Check out all the ski lifts and the tours, the skibus stops just in front of our Hotel every 15 minutes! Mountain means not only slopes and descents! In San Martino and Primiero you can enjoy our Cross Crountry trail-networks, or experience newalpine-ski tours with the local alpine guides, the Aquile di San Martino, a new way to discover uncontaminated parts of the region of the Pale di San Martino and their amazing landscapes. Ask the reception for more information, we will be glad to advise You about trails and paths and to furnish You the snow-shoes for free, for a no-worries walk on the snow. Lace up the skates! For an alternative afternoon with kids or by yourself, there is an outdoor ski-rink just a few steps from the Hotel! Don’t miss the unique scenery of the Dolomites, enjoy the Pale at sunset on skates!